How do young people who've embraced the digital age find love? Often, it's by connecting online with people they've never met in person. These days, messaging on iPhones has replaced the dinner date, and emailing through social media sites often substitutes for face-to-face conversations. The problem with this approach - the guy or girl you've fallen for could be lying about who they really are. 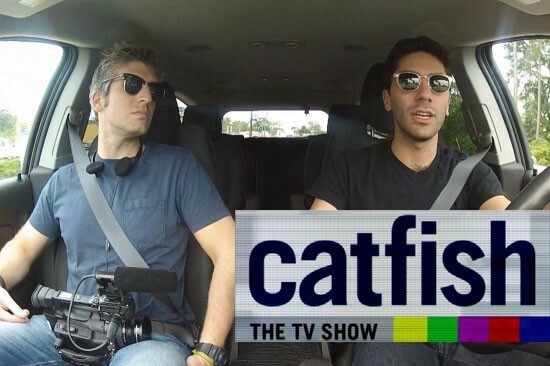 Now, from the producers of the acclaimed documentary film, Catfish, comes a new MTV series that brings together couples who've interacted solely through their LCD screens. Over the course of months or years - these romantics have become smitten - but what will happen when they meet in real life for the first time? In each episode, with the guidance and help of the star of the Catfish movie, Nev Schulman, and his filmmaking pal, Max Joseph, a hopeful romantic partner will go on an emotional journey to discover the truth about their significant other. Has that object of affection been telling the truth? Will true love truly blossom? When that fateful knock on the front door finally comes - only one thing is certain - that these incredible voyages will be filled with mystery, uncertainty, forgiveness, joy, and sometimes, even shocking revelations.